Jonah Hill wears Gucci 1622/S sunglasses in War Dogs. Jonah Hill wears Gucci 1622/S sunglasses in the 2016 movie War Dogs. The sunglasses have a tortoise aviator frame, feature the green and red Gucci stripes and a Gucci G on the sides of the temples. 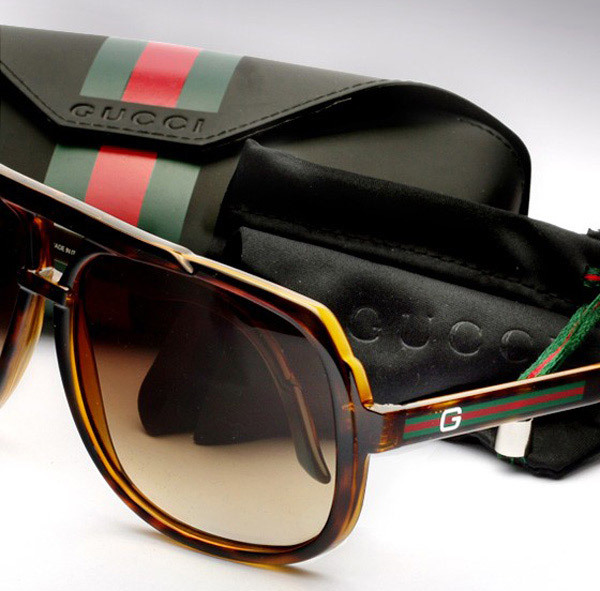 These sunglasses are part of a Special Heritage Edition model range released in 2010, celebrating a vintage Gucci sunglasses look. These Gucci sunglasses are still available on Amazon.com. Jonah Hill wears at least 4 other pairs of sunglasses in the same film, including a pair of plastic Carrera Aviator sunglasses, a pair of aviator sunglasses, black sunglasses and shield eyeglasses during indoor shooting practice. War Dogs is based on a true story about two arms dealers, David Packouz and Efraim Diveroli, who get a $300 million government contract to supply weapons for U.S. troops in Afghanistan. The film stars Miles Teller as David Packouz and Jonah Hill as Efraim Diveroli. Gucci 2887 - Floyd Mayweather, Jr.